Familiar Ties is a fun, fast read. You know from the start that Amy and Max are meant to be together. However, their lives have taken many twist and turns that have left them together but not together. I have to say I really like the cover. I try not to judge a book by the cover. With the amount of books I have in my review pile, I've come to appreciate well done covers. It fits the tone of the story well. This light romance is about friendship that may have always been more. With short stories and novella, I often feel that characters are short changed. However, Naya has done a great job of giving full characters even with quite a large cast for the length. And this story is definitely character driven, as the plot is as much about personalities and character traits as it is about external events. Amy and Max might as well be your best friends for how much you will come to care for them. The story is complex. With a combination of flashbacks and changing character focus, the story unfolds as a series of disjointed puzzle pieces that somehow forms a full picture at the end. You will think things are one way, but then a piece is added that changes the entire picture. I read an advance copy and as this is the first time I've read anything from InkSpell, I'm not sure where in the editing process the ARC is. There were a couple of continuity issues and I'm not sure if they are oversights or if the were caught before the final manuscript. Some people will probably not notice it, but it is a pet peeve for me so it distracted me from the flow of the story because I was questioning if it was correct and I missed something. 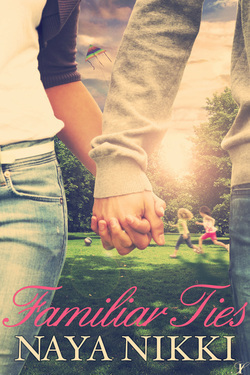 Summer is coming and Familiar Ties will be make an great vacation read. Add it to your reading list! Come back on Tuesday, when I welcome Naya Nikki to the blog with a guest post. Your Turn: What kind of books to prefer to read on vacation? 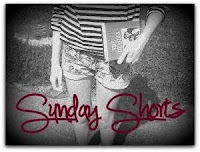 For more short stories and novellas, check out the blogs below.